Torino have been heavily linked with a move for M’Baye Niang over the last two transfer windows. According to the football transfer rumours in Italian Media (Football Italia), Torino are edge closer to signing AC Milan striker M’Baye Niang. The France international was signed by AC Milan in August 2012 from Caen for a fee of 3 million euros. The 22-year-old has a valid contract with AC Milan until June 2019. In January 2017, M’Baye Niang was sent to Watford on loan until the end of the season. Since his arrival from Milan, M’Baye Niang has scored 2 goals and provided 2 assists in 16 games for Watford in all competitions last season. The 22-year-old is considered to be one of the best young strikers in France. 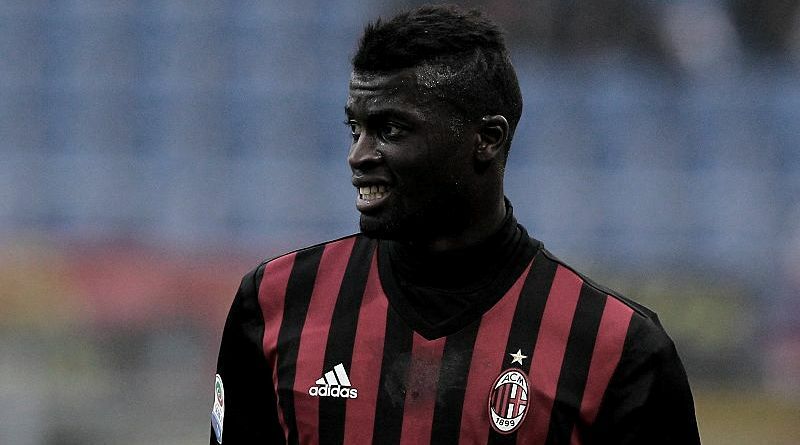 M’Baye Niang has represented France at Under-16, Under-17 and Under-21 level, winning 18 caps and scoring 4 goals. The France international is one of the more likely players to be offloaded by AC Milan this summer and the list of suitors in the France international continues to grow. Adding a striker remains Torino’s top priority this summer and Siniša Mihajlović will have drafted a shortlist of a number of possible targets he could approach in the coming days. Torino manager is keen to secure at least one more signing this summer, and M’Baye Niang could very well be a man under consideration. He is a long term admirer of M’Baye Niang and believes he can get the most out of the France international. Siniša Mihajlović will reportedly be handed a huge transfer kitty and the AC Milan striker is thought to be among the manager’s priorities. Torino are in the market for just a handful of statement signings this summer who can improve the first-team. According to the report in Italian Media, Torino are prepared to raise their offer for striker M’Baye Niang closer to the Milan asking price of 18 million euros. The offer on the table would be in the region of 3-4 million euros for the loan and 11-12 million euros obligation to buy at the end of the season. How strong that interest is and whether Torino will make a summer move remains to be seen but it is certainly one worth keeping an eye on.